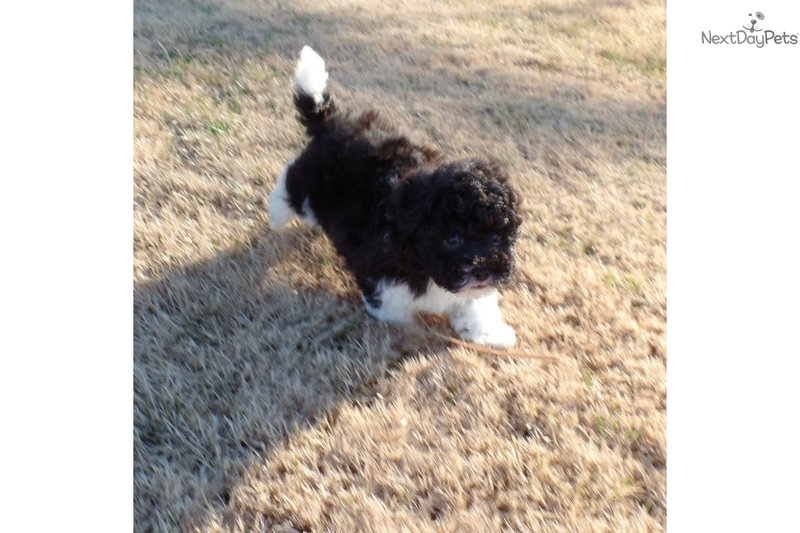 Five on Friday: Pastors, Parties, and a New Puppy! Cheers to the weekend! Only two weeks to go until our five day weekend, which includes a little Vegas getaway. We. Can't. Wait. This week has brought so much joy to my heart: from a new member of the family, to hours and hours of chatting, dreaming, and laughing with sweet friends. Here's what we've been up to this week! 1. A Furry New Friend! You may have missed my post about our sweet puppy of 14 years, Dusty. When he passed away in July, it was pretty hard on all of us. So, eight months later, I'm thrilled to announce that my parents are adding a new furry friend to the family. His name is (currently) Bandit, and he's so stinkin' cute! 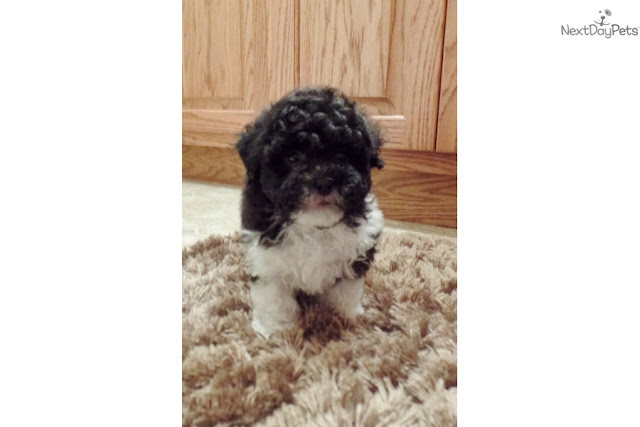 He's weighs three pounds right now, and is an eight week old Peekapoo who will max out at about eight pounds. My parents are bringing him home today, so of course I'll be going up and cuddling with him all day tomorrow. Aaron and I aren't really game for the responsibility of a pet right now (especially with all of our travels), but we are so excited to puppy-sit and hang with our new little buddy! Aaron was out of town last weekend on a college visit for his sister, so I filled my extroverted time with a little ladies night. We spent our evening laughing, watching YouTube videos, and absolutely killin' several rounds of Heads Up, and it was an absolute blast. (If you haven't played the dance move deck, you've got to!) A few of us may have even talked the night away...until 3:45 am. Seriously, I don't even know how I stayed up so late! It was a blast, and I'm looking forward to some more girl time this weekend with some really awesome women! Last year's Staffires. To see us in action, check out the Year in Review Post. You won't regret it. 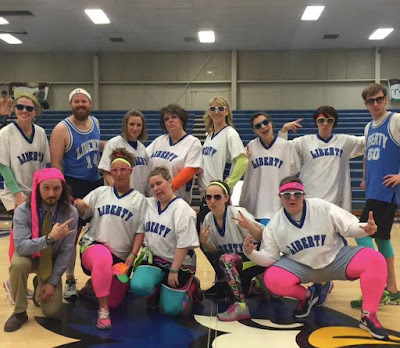 If you missed last year's "Staffire" dance team video, you'll have to check it out in my Year in Review post. Our school has a dance team called the Sapphires, and thus, the "Staffires" are a dance team made up of teachers and staff. We've been hard at work mastering some pretty sweet dance moves, and we are going to rock it at the Courtwarming Assembly next week. I'm sure I'll have video to share soon. I'll also be running up and down the court in the Senior/Staff Basketball game, so shoot up a little prayer that I can hang ha. My crazies from YoungLife Camp last summer. This week, it was such a joy to have both our YoungLife volunteers and the pastors of the major churches in the city all together in the same room. The mission to love young people in our community well and to point them towards Christ in hopes of making new disciples is truly a mission that we all share together, and thus it is our heart to be united in this purpose. It should never be YoungLife against the church, or vice versa, but instead the two of us working together and pushing kids towards the Lord. We are excited to see all that is to come! You may have spotted the new "Shop" tab at the top of the blog webpage. In case you haven't heard, we are very excited to be launching the new Currently, Kelsie Shop, which will be specializing in creating handmade rustic home decor and various items. The wood centerpiece from our new rustic dining room is actually for sale. And, in celebration of this new adventure, we are currently shipping all of our items for FREE. If you're in the KC area, we can even meet you and deliver your purchases in person! You should check it out for sure, and we can also make items in bulk or take on new project ideas you may be looking for. That's it for this week. Have a wonderful weekend! Wow, so much fun stuff! Bandit is ADORABLE! We are thinking about rescuing a dog soon! I had no idea you were involved in YL! I met the Lord through Young Life, worked Summer Staff at Saranac in NY and lead College Life. Small world! I completely agree-- it should never be YL against the church, which is too often what happens. Also, your new shop is SO exciting. Your products are so great and creative. You should be very proud! Thanks so much, Annie! Rescuing a dog would be AWESOME! And yes, I've been leading for about eight years now. (Crazy!) That's so so fun that you met the Lord through YL, and have had it be such a part of your journey. Love it and the way it helps point kids towards Christ. Thanks so much for your kind words on the shop, we are very excited! Darling little puppy. We have a Cavapoo and wouldn't trade her for anything. Have fun puppy sitting and enjoying all of the wonderful blessings God is placing around you. Thanks so much, Deb! We are leaving to go play with him here in a few minutes. I am so excited! Oh my goodness, your new pup is TOO cute! I love the little ball of fluff! Congrats on opening the shop, exciting things happening for you! Bandit is ADORABLE!! Dogs always put a smile on my face. Ahhhh, isn't he so cute :) I just love puppies. You should definitely check out YL. It's pretty awesome! You're too sweet, Lauren! Thanks for the kind words! We are so excited to snuggle the pup a lot in the time to come! And oh yes...it's going to be good haha! The puppy is so tiny! I love that center piece. It has so much character. Thanks so much, Nicole! We love it too! Puppy! Puppy! Puppy! I'm kind of the crazy puppy lady so this made my morning (of grumpiness) much better. Haha. Sounds like you have had an awesome week! Bandit is ADORABLE. I'm so glad you were able to keep yourself occupied while your honey was away! Bandit is so freaking adorable, I wish my cat would have stopped growing at 8 pounds though! But I'm so sorry to hear about the passing of Dusty, it took me soooo long to get over my cat passing away before I even wanted to entertain adopting a new one. Thanks you so much for your kind words, Rubi! We are excited to learn to love a new pooch. And I love that he'll stay tiny and cute for so long! I love them too, they just melt my heart! Thanks so much, you should definitely check it out and maybe order something! OH MY GOSH! The puppy is so so cute! Have fun in Vegas, don't have too much fun! Haha, thanks Rachel! We will try to keep ourselves under control! Ahhh! You must be so excited about the puppy! I recently adopted a kitten just in September - he just followed us home one day, at a wee 3 months old. And all your talk about girl time and new achievements like your shop really put me in a positive mood. I've been needing me time, but I can feel the need for a girl's night on my end too. 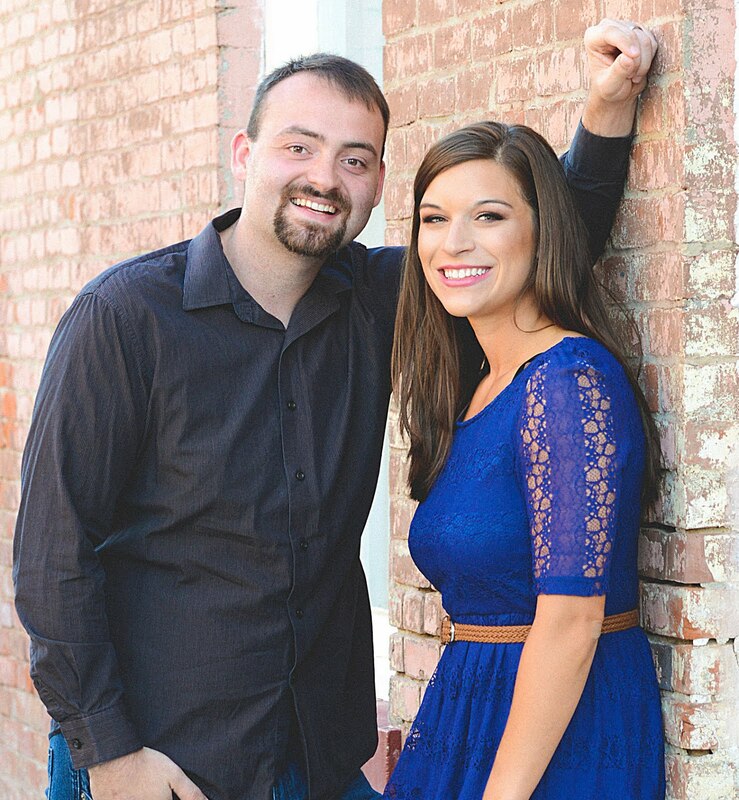 Nice to meet you Kelsie — this was a really nice light read to get to know you! We are thrilled! So fun that you have a little Kitten. I'm glad that you had a little positive uplift from it. My friday posts are always light and personal, and I'd love for you to come back and check out some other posts too :) Thanks so much for stopping by! What an adorable new puppy! Thank you, thank you :) We love him already! Exciting stuff happening for you! And that puppy is so cute! Have fun in a few weeks during your getaway! Vegas is so fun! Definitely so much excitement around here! Thanks for the well-wishes, we are so pumped! I know, right? He's so sweet! Your pup looks so cute. Can't wait to see what you have in your shop..
What an adorable little puppy its so cute!